Get more inspiring stories like this, about America’s 74 million children, delivered straight to your inbox — sign up for The 74 Newsletter! She’s one of the best bobsledders in the world. She was one of the first women to compete against men in the four-man bobsled. She’s won two world championships, Olympic silver and bronze, and is a favorite for the gold this year in PyeongChang, South Korea. 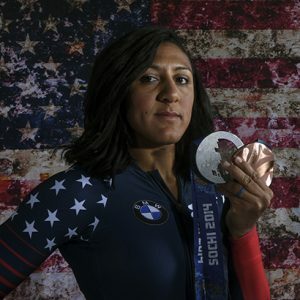 Olympian Elana Meyers Taylor is also a mentor for six classrooms in the United States, sharing her own lessons in perseverance, determination, and grit with hundreds of students every month. Meyers Taylor is a Classroom Champion, one of 125 athletes who virtually mentor students to share social-emotional skills they’ve learned from their athletic experiences. Co-founded in 2009 by another American Olympic bobsledder, Steve Mesler, Classroom Champions has grown to serve 25,000 students in 1,000 classrooms in seven countries. A former gold medalist, Mesler grew up in a family of teachers and often visited schools for one-off speeches, usually about the importance of staying healthy. But he left those events feeling as if he wasn’t having an impact other than potentially disrupting the school day. At the same time, Fortune 500 companies were inviting him to talk with employees about skills he’d learned as an athlete: overcoming failure, determination, goal-setting. Mesler knew there had to be a way to more meaningfully impact students. So he teamed up with his sister, Leigh Parise — an education researcher and former New York public school teacher — to create a program that could scale this kind of mentoring work. Classroom Champions pairs athletes with several classrooms, and the athletes make monthly videos on topics like fair play, determination, and community that they share with the students. Once a week, teachers present lessons on these skills, and they incorporate social-emotional vocabulary words such as grit, perseverance, and determination throughout the school day. The experience has created a community for the athletes and the students. Teachers say their students look forward to Classroom Champions lessons, and the athletes follow their classrooms on Twitter or Google Plus, encouraging the students through their comments. “For these kids, this is their Olympian,” Mesler said. Some classrooms will be watching their Olympic athlete go for the gold over the next two weeks. But lessons from athletes who didn’t make the Olympic team are just as powerful. Sugar Todd, a speed skater and Classroom Champion mentor who competed in the 2014 Olympics, didn’t make it through the Olympic trials this time around. But Todd’s journey — even her failure to make the Olympic squad — was captivating and powerful for the second-graders in Racine, Wisconsin, who had been following her progress all year. Todd made videos about perseverance, discussing her training and athletic goals with the students, and teacher Amy Simon brought up that theme every day in class. Todd’s interactions and lessons were just as powerful for Simon, who had considered leaving teaching after feeling drained and frustrated. Delivering Todd’s lessons on perseverance helped Simon push through her own challenges, able to start each day with a positive attitude, she said. Just had my first @ClassroomChamps live chat of the school year with Mr. Romero's 2nd graders in Lakewood, CO and was reminded how much these kids inspire me. Easily the best part of my day. During the 2016–17 school year, Classroom Champions conducted a survey to measure its impact around student engagement, growth mindset, goal-setting, and academics. Teachers said student perseverance increased, more students were engaged, the number of disciplinary referrals decreased, and fewer students reported bullying than national rates. Athletes are attracted by the impact of the work, Meyers Taylor said. 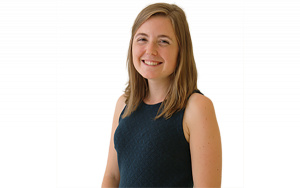 It’s all volunteer, and she estimated that creating videos, connecting via social media, and live-chatting with classrooms takes about 10 hours a month. Mesler is excited by Classroom Champions’ model of scaled mentorship, which has transformed traditional one-to-one mentoring by using technology to pair one athlete with up to 300 students, or 12 classrooms. In five to 10 years, he hopes to see the program reaching millions of students. That reach will extend even further this month, when Classroom Champions partners with NBC to host the first-ever livestream conversation between Olympic athletes and students around the topic of goal-setting.The event takes place at 1 p.m. ET on February 22. All schools are invited to register and participate by asking questions of the athletes using the hashtag #CClivechats.